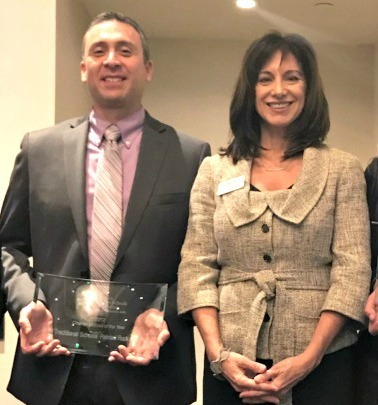 RTS Painted Rock Academy Principal Josh Bauer, pictured here with Arizona Charter Schools Association president Eileen Sigmund, formally accepted the award for 2017 Arizona Charter School of the Year at a luncheon hosted by the ACSA. 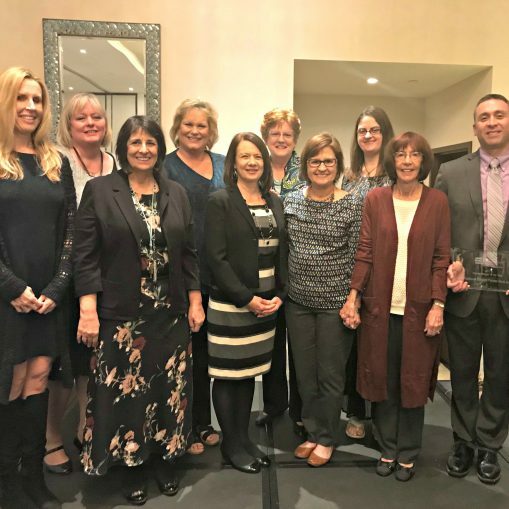 Ms. Sigmund stated the honorees “embody the promise of public charter schools and work tirelessly every day to improve education.” Representing the administration and faculty at the ceremony were Mrs. Harper (Assistant Principal), Mrs. Loreto (4th grade), Mrs. Del Giorno (7th/8th grade Math), and Miss Christian (5th grade). Painted Rock Academy School Board members Cuyler Reid, Letha Warner, and Leslie Szostak and C.E.O. Heidi Mitchell also joined in congratulating Painted Rock Academy on the achievement. 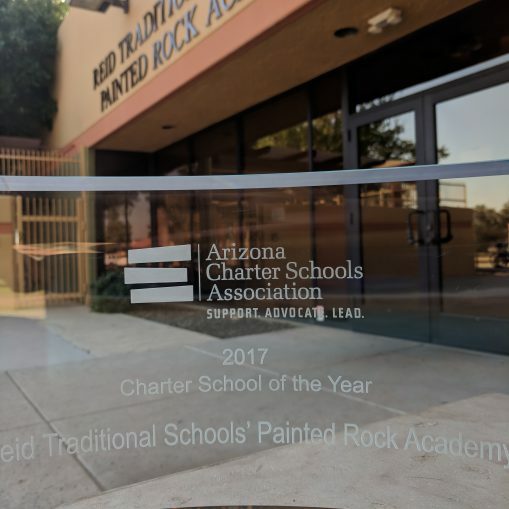 Mrs. Szostak, prior to her Board service, was the founding principal of Painted Rock Academy, laying the groundwork for this honor.